With all the build up and preparations we have to make for Christmas Day, the prospect of cooking a 4 course meal for the entire family can seem overwhelming! Well, here at Go dine we are here to help. 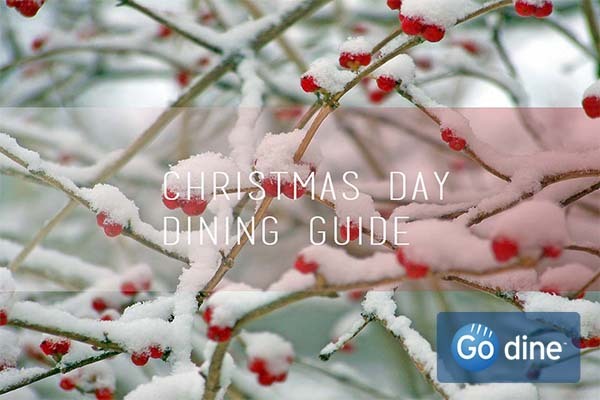 We’ve compiled a list of some of the best Christmas Day restaurant menus in each of our areas, so you to can put your feet up and enjoy the holiday and, even better, no one has to do the washing up! Situated in the heart of the city centre on Park Row, Hart’s, voted ‘Restaurant of the Year’ in 2009, is one of our top rated in the region. This sophisticated restaurant could be the perfect place for you to enjoy a really special Christmas Day meal; for £110 you can relax in the modern peaceful setting and enjoy a luxurious seven course meal as well as champagne on arrival. 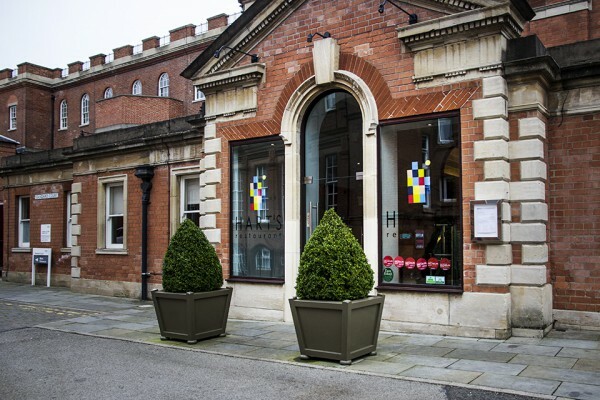 To explore the full menu on offer and look at variations available head over to our Harts Nottingham page. If you fancy heading away from the city, Tom Browns settled on the riverbanks of the Trent at Gunthorpe Bridge could be an ideal location for you to enjoy Christmas dinner. The restaurant has a long standing reputation within Nottingham for being one of the best places to dine, the peaceful location just far enough from the city along with stylish decor and views of the river from the mezzanine level paired with locally sourced high-quality fare Tom Browns is great for Christmas. This year you could enjoy a four course meal, champagne, and coffee all for £70. Staying out of the city but heading to the other side of Nottingham, The Verve located in suburban Chilwell, inside the Village Urban Resort and just a short walk from Attenbrough Nature Reserve is great choice for a family Christmas Day. After enjoying one of the many options to choose from on this varied Christmas menu, such as classics like ‘soup of the day’ and slow roast pork, to delicious alternatives such as chicken spring rolls and leek fondue tart, you and the family could take a short walk around the water before heading home. All of this is the most budget friendly option on today’s’ list at £36. If you’re spending Christmas in Derbyshire this year, Peak Edge Hotel set on the edge of the stunning Peak District just 3 miles South of Chesterfield could be the perfect English Country retreat without having to travel miles. The classic style compromising of open fires, candle light and stone walls makes this a perfect winter retreat, the menu hosting classic English dishes with a twist is sure to have an option for everybody in your party. Champagne on arrival will set the tone for a special meal and finish with coffee before heading home through the beautiful Derbyshire countryside. You can experience this slice of traditional English Christmas for £79.95. If you prefer grand over cosy, Opulence could be the perfect place for you, this Cathedral Quarter Manor has plenty of room for you to enjoy a four course Christmas Day restaurant dinner at £79.95, too. If you’re based in South Derbyshire, Sage Restaurant located in Donnington Manor could make the ideal destination for your Christmas Day. Offering a four course Christmas Day lunch for £59 this luxurious location is a slightly more budget friendly option without compromising any of the quality. 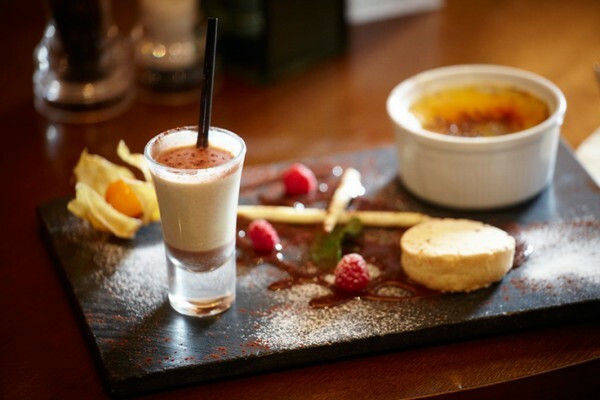 Nestled inside The Castle Hotel on Lincoln’s Westgate, who wouldn’t want to spend Christmas Day enjoying good food with views of Lincoln Cathedral?This modern restaurant inside the historic hotel blends perfectly to make a idyllic dining experience. Offering a wide choice of opulent dishes Christmas Day this 3 course menu and after meal coffee would make for a really special Christmas treat, for £79.95 you get to experience one of the best locations in Lincoln. Electric is a relatively new addiction to the Lincoln water front, set right on the Brayford Wharf with panoramic views set back across Lincoln up to the Cathedral and right across the water, this modern roof top restaurant is a ideal location for those looking for a different experience this Christmas. Look at the full Christmas menu here and see what’s on offer for under £70. A Michelin-Star restaurant set in the beautiful Leicestershire countryside is really something special, people travel miles to experience this famous fine dining menu. The prestigious restaurant, surrounded by pristine gardens and luxurious decor will be a really memorable Christmas Day. 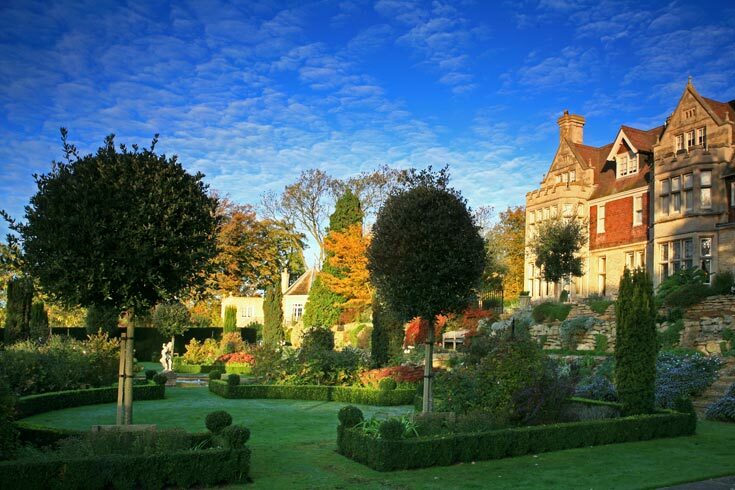 Aaron Patterson, Hambleton Hall’s resident Head Chef since 1991 had developed a seven course meal hosting a plethora of flavours that will satisfy even the most distinguished palette. The menu is £125, offering you one of the most sought after seats in the UK this Christmas. 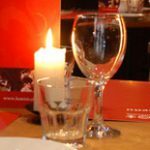 Gino’s Located North of Leicester in rural Woodhouse Eaves is a chic Italian restaurant normally, however this beautifully restored old meets new setting is hosting a classic British menu for Christmas Day whilst still offering some of the usual alternatives. At £65 this could make a great choice for a Christmas in the country. Roade House established a good reputation throughout Northampton earning itself a place in the Good Food Guide back in 1985, it has upheld this prestige since then. The inviting decor and great recommendations keep people coming back time after time, this Christmas you could enjoy a five course meal as well as canapés on arrival for £85. If you still feel like you want to stay and be waited on for a little longer this Christmas, the leather seating area is a great spot to sit back and relax for another drink or two. Not far East of Northampton is The Worlds End. This relaxed destination with a huge selection of great food and wine is another ideal spot to enjoy your Christmas Day restaurant, for £65 you could choose four courses from the menu sure to leave you more than satisfied. After reopening in 2004 this restaurant has received endless praise for its friendly ambiance and great food. 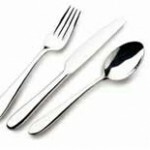 Salute prides itself on using high quality ingredients and original recipes guaranteeing you a delicious Christmas meal. This restaurant is offering one the most extensive Christmas Day menus meaning there is guaranteed to be a perfect choice for everybody, choose three courses from the menu and also enjoy a luxurious cheeseboard for the table. This experience could be yours for £75. This fresh take on a rural country pub is lovely spot to enjoy Christmas this year. The unique twist on a traditional menu set this aside from other locations, a mulled wine welcome will get everyone in the festive spirit before enjoying a four course dinner for £70. 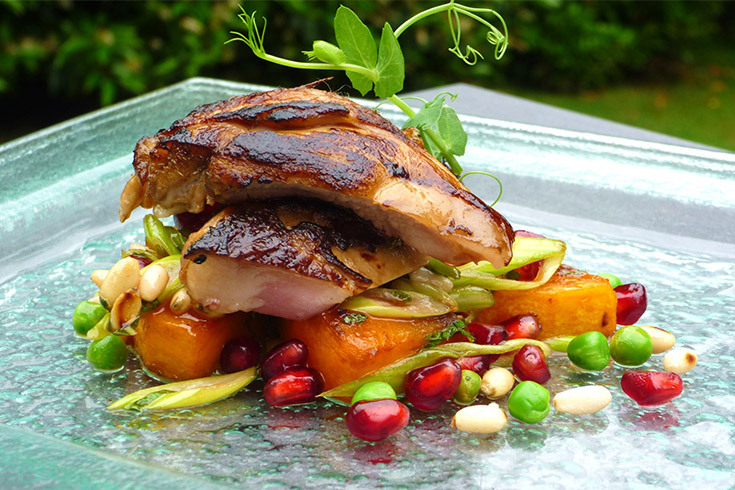 Rutland hosts some of the best restaurants in the country, with a reputation to upkeep you can guarantee excellent food. 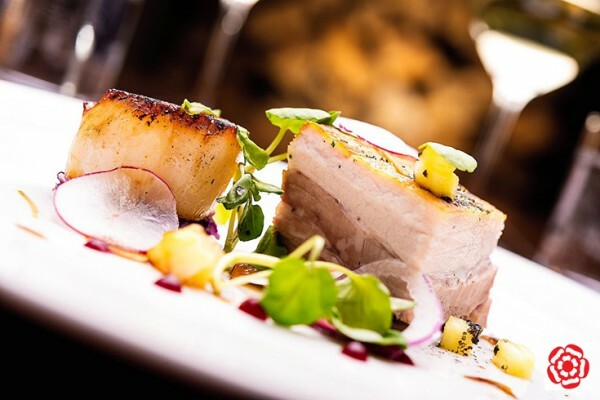 The Finch Arms has a slight edge though, with its location in the centre of Rutland Water, just a few yards from Michelin-Star restaurant Hambleton Hall mentioned under Leicestershire above, you will be attending one of the most prestigious addresses in the region. Host to original wooden beams and open fires, before you have even sampled some of the renowned food, you will feel like you’re having a exceptional Christmas Day. 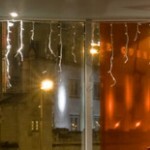 Mark Gough, formally of Hart’s in Nottingham, offers a five course meal this Christmas all for the price of £90. Staying on the water in Rutland, a slightly different location offers stunning views through picture windows across the reservoir is L’Oliveto. 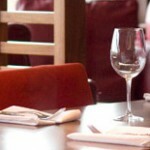 Enjoy an Italian take on Christmas with a four course meal for just £39. Just South of Sheffield in picturesque Ridgeway you will find The Old Vicarage, the only Michelin star restaurant in the area. The decor is in line with the date of the vicarage with a classic historic feel, but the food is definitely state of the art. Sourcing much of the produce from the grounds surrounding the restaurant, Head Chef Tessa Bramley creates some truly amazing dishes. To get a piece of The Old Vicarage experience, you can enjoy Christmas Day here for £120. If fish is more your thing, why not try an alternative option this Christmas? Loch Fyne provides it’s usual top class fish dishes, but if someone in your party is still craving traditional turkey, they can offer you that too. Indulge in four courses for £54.95. If you have any further questions, head over to Go dine where one of our employees would love to help you via Live Chat.